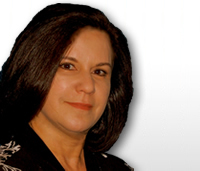 Alodia Ruiz is a regulatory and clinical research professional with over 20 years of extensive experience in diverse medical device, biologics and pharmaceutical organizations. As a regulatory affairs and clinical research compliance consultant, Ms. Ruiz is a highly proficient and respected clinical trial auditor and GCP expert having performed numerous clinical audits and established effective compliance systems for multinational clinical operations, as well as prepared sponsors and investigators for regulatory inspections. As a regulatory affairs professional, she developed regulatory strategies and gained marketing approvals for medical devices around the globe. Her comprehensive knowledge in regulatory compliance includes the United States, European Union, Australia, and Canada.